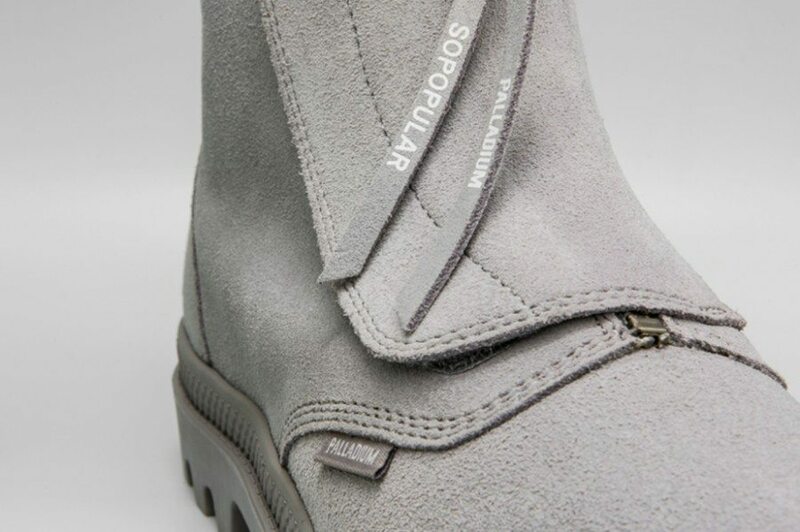 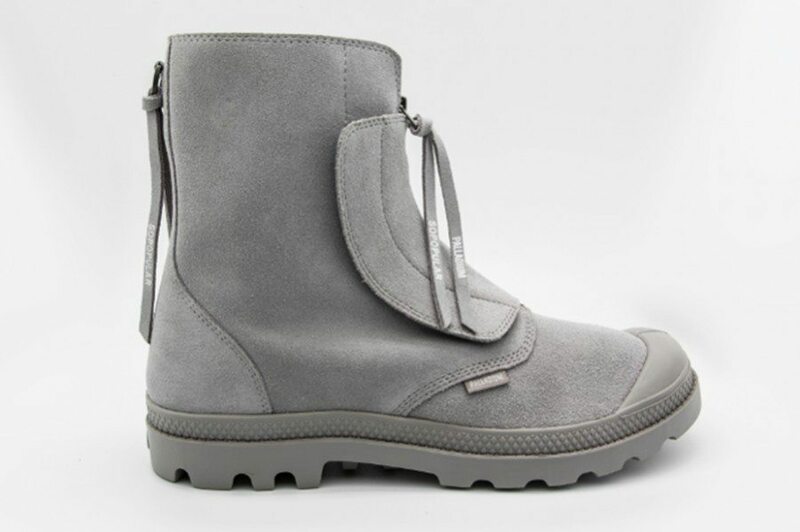 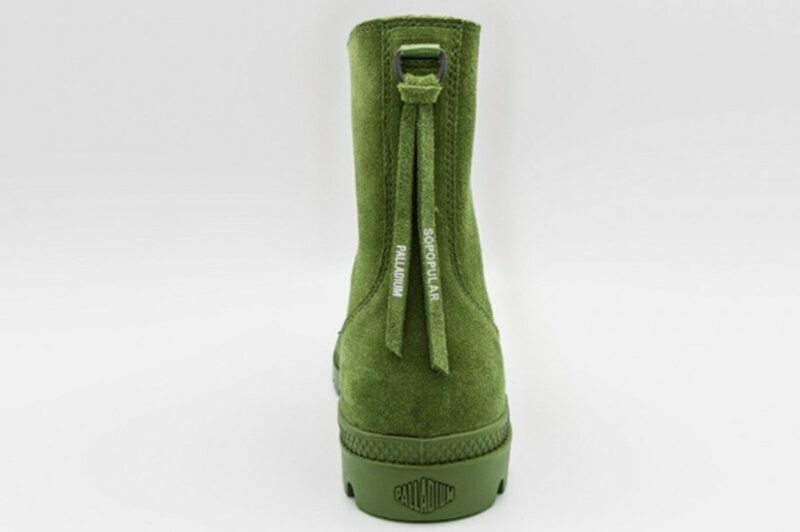 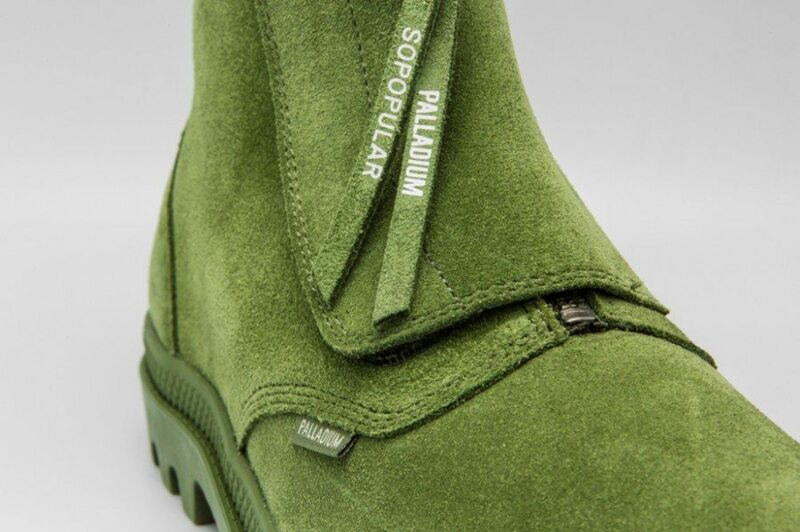 PALLADIUM BOOTS X SO POPULAR! 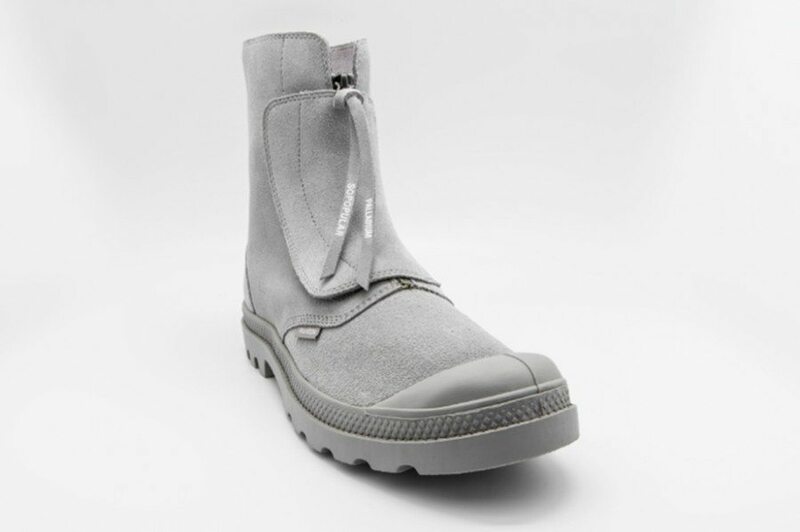 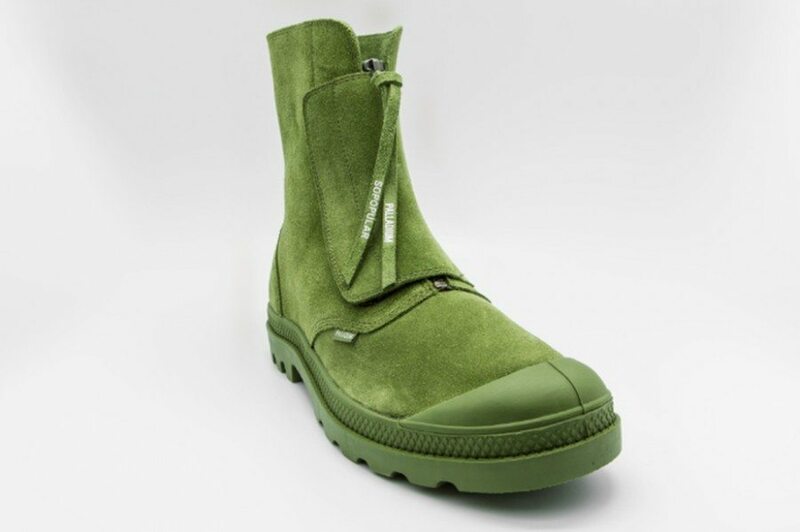 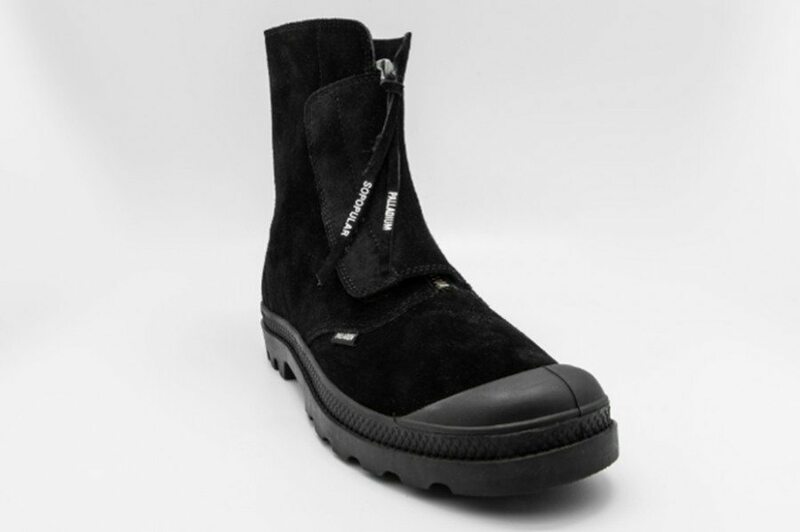 This SS16 Berlin-based menswear brand SOPOPULAR and French heritage footwear brand Palladium boots explore the limits of modern urban fashion, combining contemporary streetwear elements to create the ultimate futuristic yet timeless design. 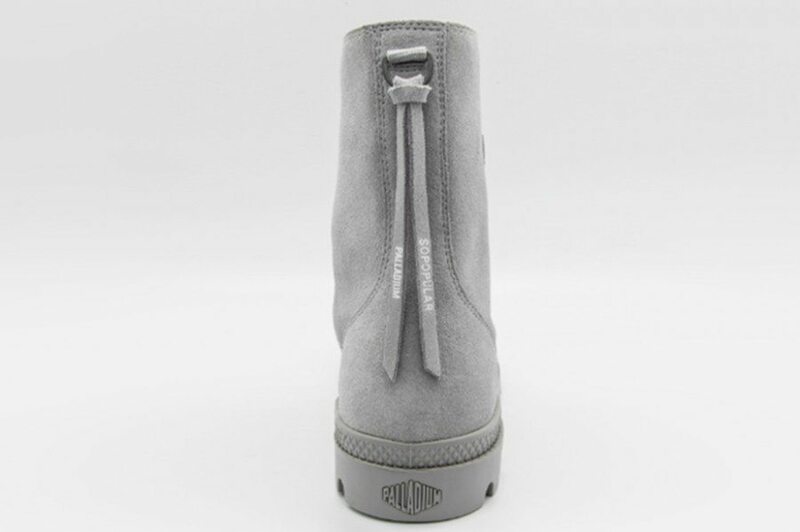 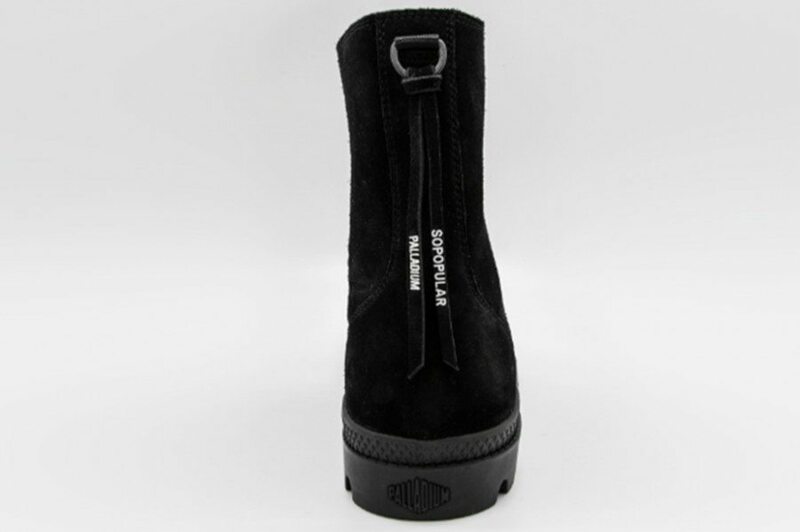 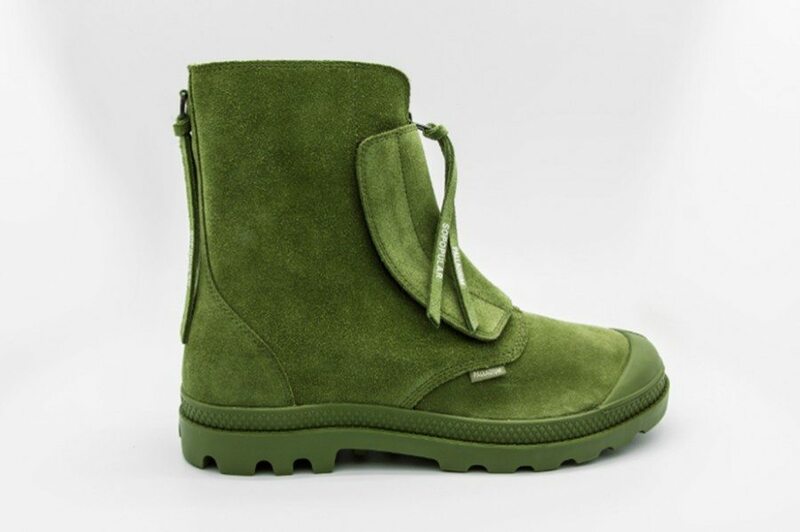 Made from Classic suede leather, a first for Paladium Boots, they are available in the monochrome tones of Ash grey, Charcoal black and Otan green. 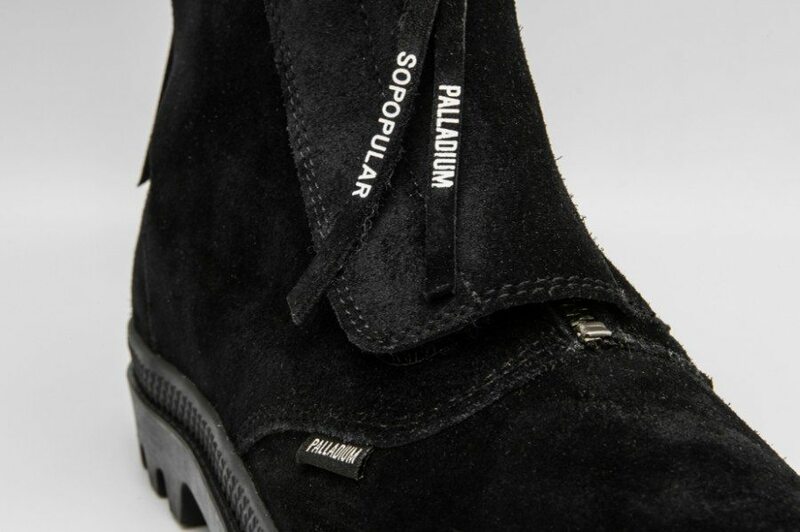 Completing the look, with a zip substitution to the classic laces, is a large tongue streamlining the classic masculine shape of the palladium boots. 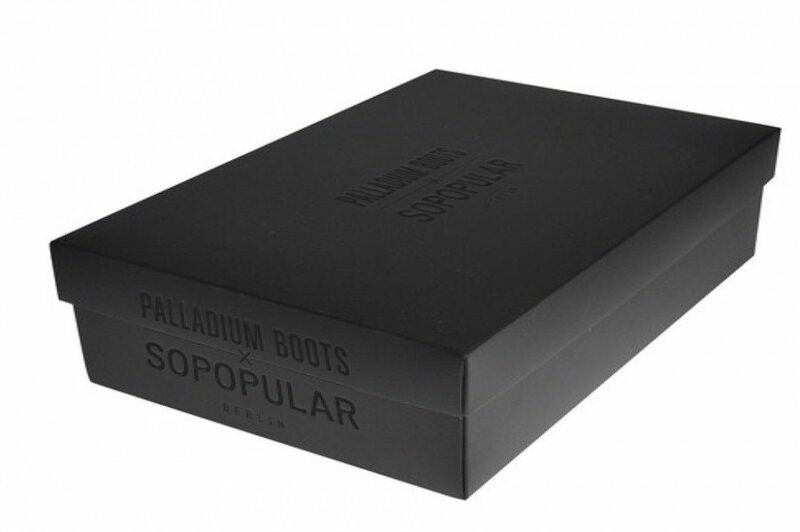 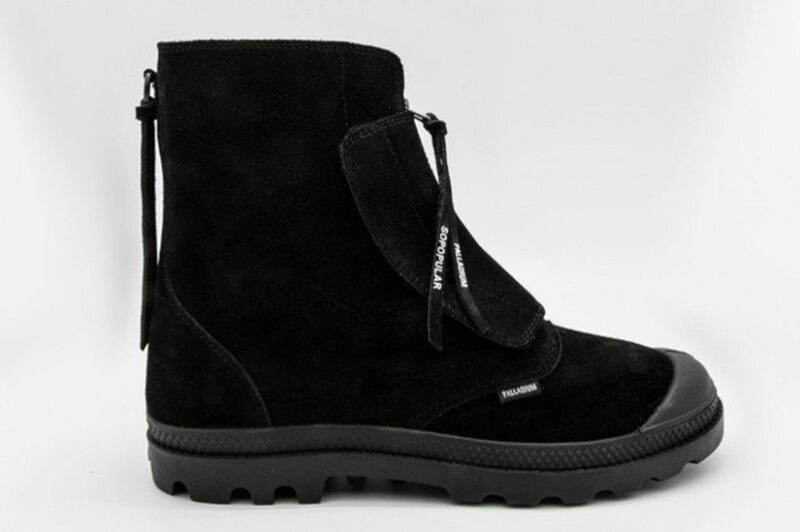 Distinctly showcasing the minimalist aesthetic of SOPOPULAR and Palladium Boots, they are a must have staple for the fashion-led wardrobes.